Rescue the kidnapped Goonies from the clutches of the Fratelli gang! 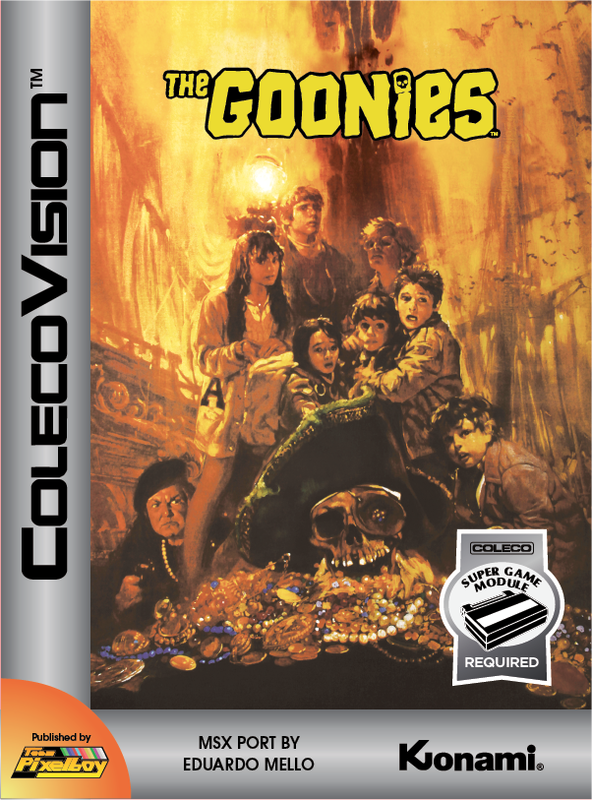 In this ColecoVision port of the MSX game based on the hit movie, you play as Brand, the older member of the Goonies gang who needs to save the remaining 7 Goonies from the Fratelli family, a treacherous group of thieves. Find keys and use them to free your friends from their jails located in the underground tunnels of the Fratelli's lair. Punch the Fratelli pursuers to stun them, and avoid traps and other dangers. The Goonies are counting on you! In October of 2012, Eduardo Mello decided that he wanted to mostly concentrate on arcade ports, where his Opcode Games publishing label was concerned. 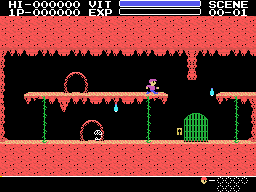 As a result, he offered me the chance to publish some of the MSX games he had already ported in the past but hadn't released yet (mostly because they require the Super Game Module to run) including The Goonies. 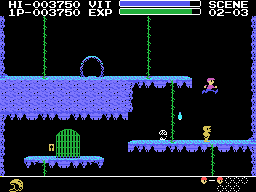 I accepted the offer, of course, but the project went to sleep for a couple of years before Eduardo finally gave me the final version of the MSX port in the summer of 2014. 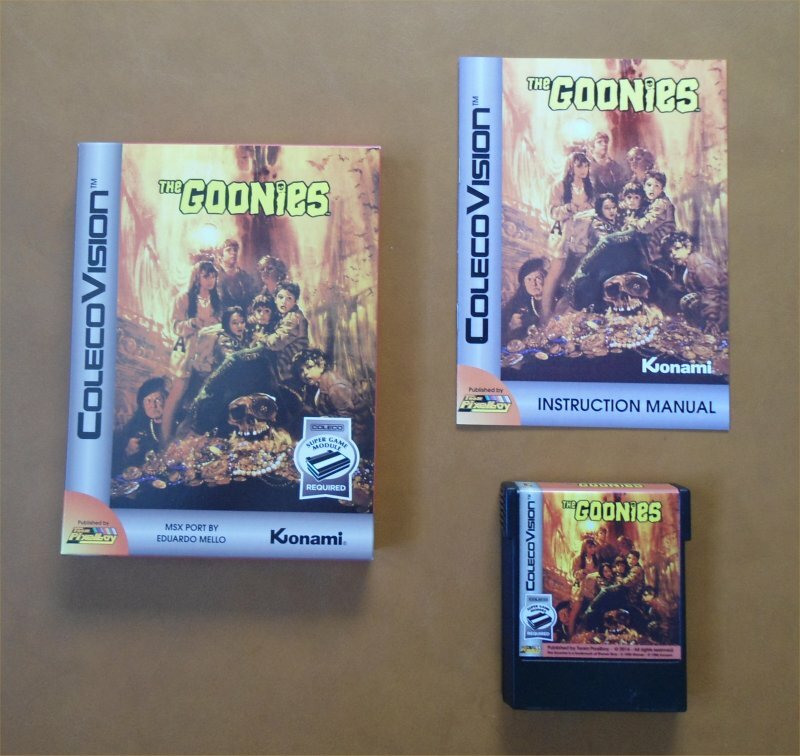 Here is a YouTube video of the MSX version of The Goonies. The ColecoVision version looks, sounds and plays the same as what you see below.